Home / Blog / How to replace a kitchen faucet? 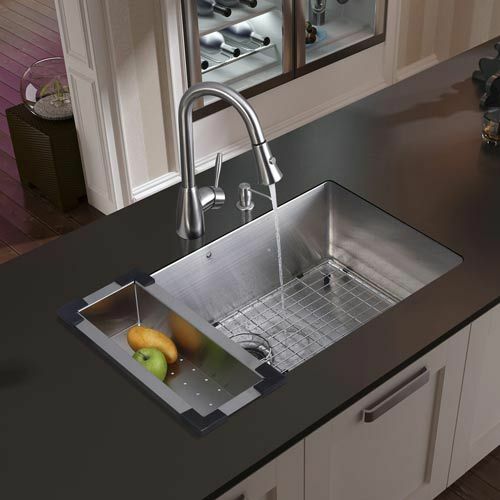 Kitchen faucets are something that is present in every household. People get a lot of use out of it as it is placed on the kitchen sink. So, after a considerable amount of time, the old one may get faulty and it will be time to attach a new one. Some people also like to remove the kitchen faucets before they move into a new house. If you are planning to install a new one then it is the right time to read a lot about faucets and to buy the appropriate one. We are presenting you an easy guide that will help you in replacing the faucet. 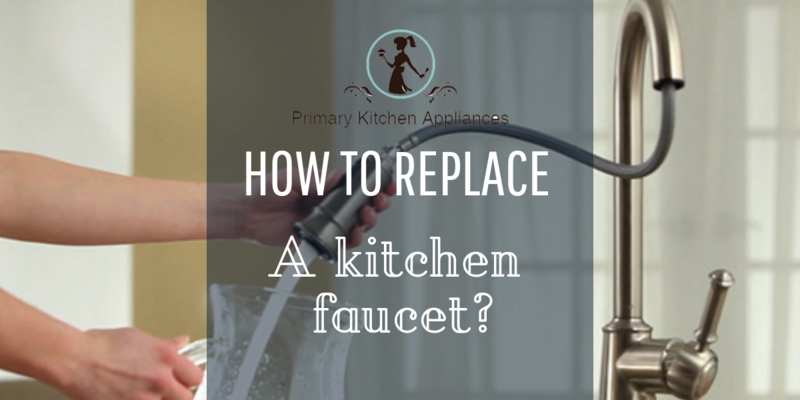 Before you start replacing the kitchen faucet you will need to buy a new one. So, have a look at the current faucet situation in your kitchen. Check the number of holes and also the number of components present in the sink. Buy a faucet that will be appropriate for the holes present on the sink. 1.You have to shut both the cold and hot water supply pipes. 2.Then turn on the faucet to release the existing pressure. 3.If there is a connection to disposal, turn it off as well. 4.Make sure to take a picture of the plumbing configuration for help while setting up the new faucet. 5.Now disconnect the water lines and place them into a bucket. 6.You may need to change the supply lines if they are worn out. 7.Now you will need to reach under the sink and get rid of the faucet components so that it is easy to pull up the faucet. 8.Then with the help of the basin wrench unscrew the nuts that keep the kitchen faucet in position. If a retaining bracket is present then remove it as well. If there is a sprayer then you need to take it out and then detach the hose from its head. 9.Now, it’s time to pull the faucet from the top. 10.Clean the putty or any sealant that was applied in the area. Also, clean the area with soapy water to get rid of the ride. 1.Your new faucet may or may not need the use of a gasket. Read the instruction manual of the faucet. 2.If it does require the gasket then mine it carefully with plumber’s putty or the recommended sealant and place it on the sink. 3.Now put the faucet on top of the hole and push the supply lines into the hole. Make sure that it is position in the exact way that is recommended in the instruction manual. 4.Now, check under the sink to make sure every hose has come out. 5.The sink will come with mounting hardware and you will need to fix it under the sink with the help of a wrench. Make sure that the hoses come out of it effortlessly and the fixture is tight enough to hold everything in place. If it is a pull-out faucet then you have to thread in the weight provided with the faucet. 6.The next step will be to attach the cold and hot water supply lines to the faucet. Tighten the nuts with wrenches in the recommended way. You may use plumber’s tape to make the seal more secure. 7.If a sprayer is present then mount it on the sink in a similar way and connect it to its extension pipe. 8.Now prepare the faucet before you turn on the water supply. 9.Turn both the cold and hot water valves counter-clockwise. 10.Check the sink if the water is coming out properly. 11.Flush the faucet to make it perfect for its job and then replace the aerator. 12.Check the bottom of the sink for any leaks. 13.Clean up the excess plumber’s putty that may remain by the gasket. 14.If everything works fine then you have a brand new kitchen faucet that works perfectly. So, here are the steps that you can follow to successfully replace your old faucet. It will take about 2 to 3 hours of your day and you will need a little patience. If you find that the supply lines are damaged or beyond repair definitely call a plumber for help. We hope that this guide has helped you.